DVD video and Study Stick. 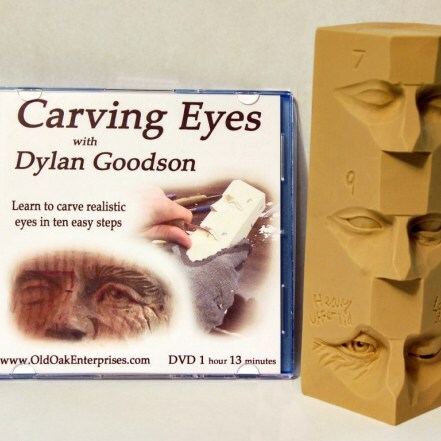 Learn how to carve eyes in ten easy steps with this DVD and study stick. Dylan will guide you through this methodical process from planning to completion so that you can complete your own study stick. An in-depth session at the drawing board discussing the structure of the eye. Carving a basic realistic eye.